DUBUQUE, Iowa – Images of childhood backyards are building community on campus. ‌Rick Merfeld, assistant dean and director of residence life at UD, said everyone has some area behind their home akin to a backyard where they spent time growing up, learning life lessons. “By telling stories about this common life experience, we hope that each of us will come to understand that although we may be different in some ways, we all share a common humanity. That, if we look, we can always find something in common with other people” Merfeld said. Each display in the art gallery includes a photograph of the student’s backyard, written testament of the impact of the backyard, and a current photograph of the student. ‌Abbas Alotaibi, a senior aviation management major from Saudi Arabia, said he was grateful to be part of an exhibit that illustrated how people from different countries can share life experiences. “I want everyone here to look at the other side of the world and know how we live there,” Alotaibi said. 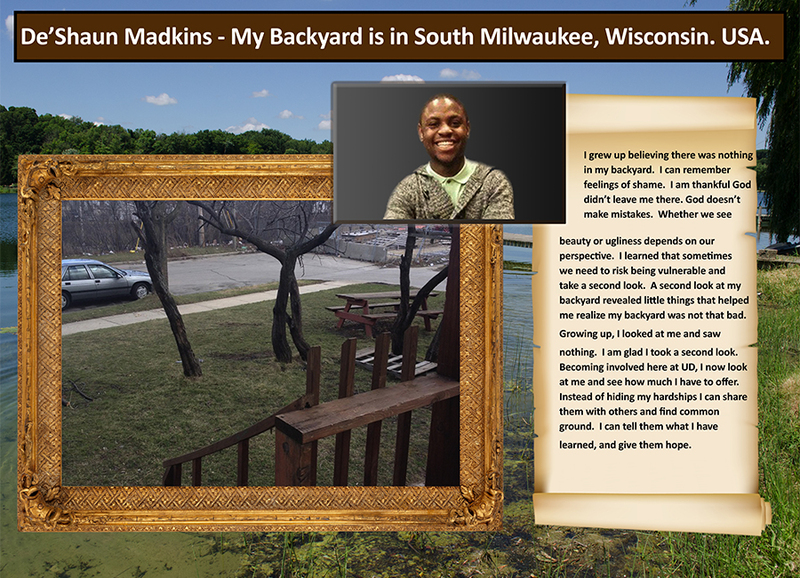 Madkins said he was ashamed of his South Milwaukee, Wisconsin, backyard for much of his life. But an emotional journey launched by the exhibit allowed him to learn to appreciate the little things. Tyler Lewan, a sophomore business marketing major, said he was devastated to learn his family was moving from Sleepy Hollow, Illinois, to Golden, Colorado. He chose to feature his childhood backyard in Sleepy Hollow where he spent countless hours with friends and family. 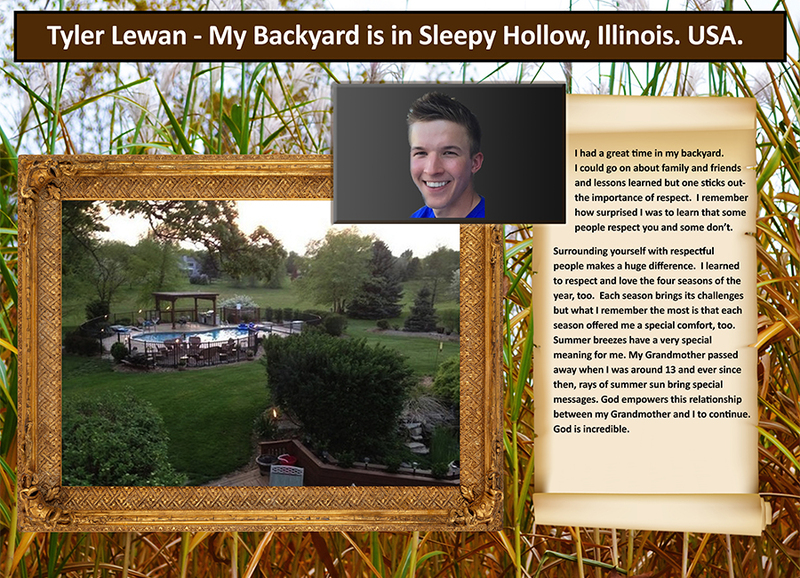 Lewan said those moments, and backyards, help people grow. “It’s incredible what backyards mean to people,” he said. 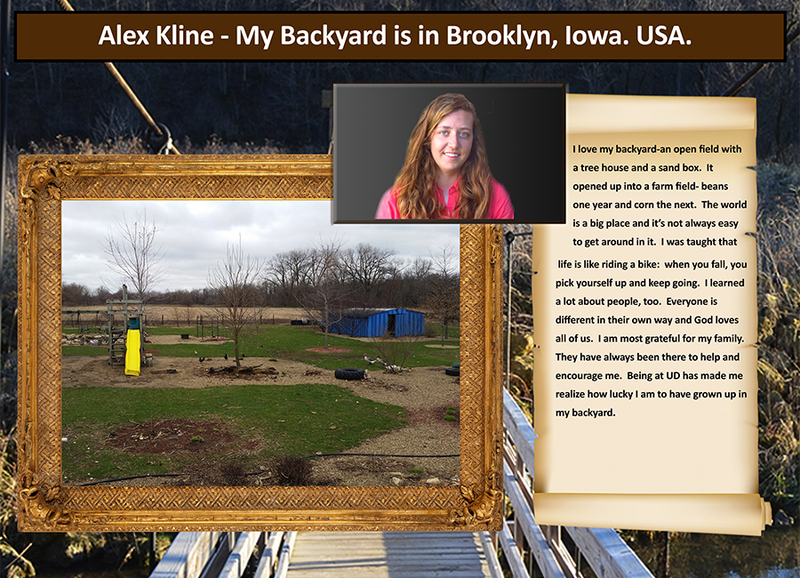 Alex Kline, a first-year undecided major, enjoyed time spent in her Brooklyn, Iowa, backyard with her siblings. She said she felt as though she could be free in those carefree moments. Kline enjoyed the unique exhibit that showcased diversity through backyards. The exhibit, organized by UD Student Life and Bisignano Art Gallery, will be on display through Thursday, April 21. The gallery is open Monday through Friday from 12:30 p.m. to 5:30 p.m.